I think this is a book I will really enjoy. Kickass female heroine? Check. Fantasy setting? Check. Doomed romance? Check. Mad kings? Check? Dark magic? Check. BRING IT ON! I am definitely intrigued by this one. The idea of her living in the forest, having the skills of a bounty hunter- yes please. And the cover is pretty awesome too. I might be adding this one. It definitely sounds good, I so hope it will live up to its expectations! I’m all about badass heroines so this book is on my wishlist as well. Great choice! This definitely sounds intriguing! I shall await the reviews and hope it lives up to that rather fantastic synopsis! I only hope that it is anywhere near as good as it sounds because then i think it will be fantastic book. Thanks! I have high expectations as well so I hope it will live up to them 🙂 Hope you’ll enjoy this one too! I am excited about this book too! I have an eARC but I won’t be able to read it until later in the year (boooo, lol). I hope you enjoy this book when you get a chance to read it! This one has the potential to be TOTALLY awesome, I’m also looking forward to it 🙂 So many elements sound badass. Great pick! Yes, it really does have all the things on my ‘awesome-book-checklist’ 😉 Hope you’ll enjoy it! 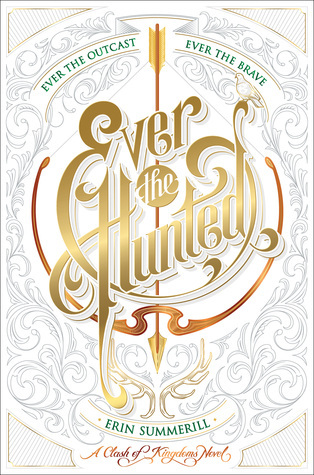 This book…every time I see the cover I get sad that I have to wait till December to get my hands on this beauty. I’ve heard great things about it and the premise sounds sooo good. I don’t know how I can wait that long. I totally understand, I’m also super excited for this book and December still feels sooo far away! I have high hopes for this one, hope you’ll enjoy it! I’m hoping this one will be good as well. I love fantasy novels. I hope you love it as well when it comes out. Thanks! Hope you’ll enjoy it as well when you pick it up!